Is your cat acting weird when you bring her to vet? Does she act differently at home? She may be suffering from vet anxiety. 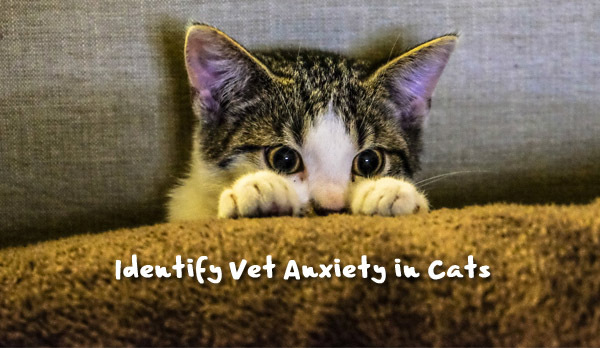 Learn how to identify vet anxiety in cats and how to ease it. While a trip to the vet can make any pet a little nervous, cats are especially prone to anxiety. Their independent nature and dislike of car rides are two reasons they would rather skip the event altogether. It’s important to recognize when your cat is nervous so you can calm your pet and minimize any negative behaviors. Here are four common signs that could indicate your feline is feeling a little uneasy. Cats use their tail to express themselves. When the tail is tucked between the legs, it’s often an indication of fear, submissiveness, or even illness. Cats may bite or scratch if you attempt to handle them when the tail is tucked. Give the animal a minute to adjust to unfamiliar surroundings before attempting contact. Does your cat sit on the exam table swinging his front paws like a prizefighter? Paw swats signal your pet disapproves of the way he is being handled. Sometimes it is hard to tell whether the cat is angry or smiling with just the facial expression. But it’s the paws that will tell you a different story. A vet who is familiar with low stress handling will help your cat to feel more comfortable and less aggressive. Monitoring the eyes is another way to determine how a cat is feeling. Enlarged pupils are usually a sign your cat is overly excited or scared. It’s a good idea to talk calmly to your pet and avoid any sudden movements until the eyes return to normal. 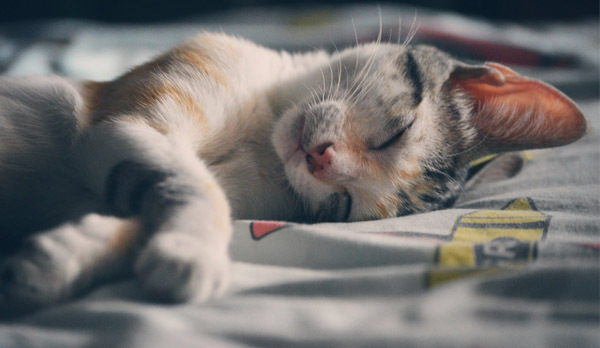 Cats that are stressed are also better at hiding an illness, so having a calm cat increases the chances of spotting potential health problems. 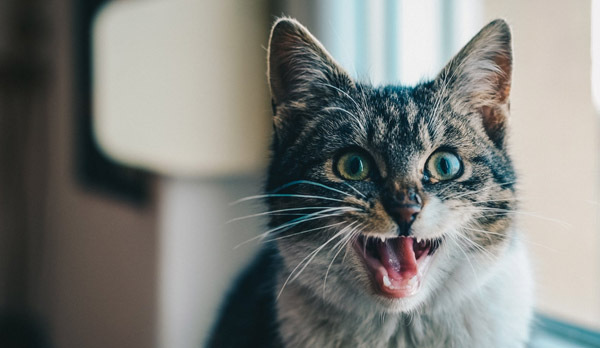 A cat that hisses is attempting to defend itself against a perceived threat. At the veterinarian’s office, that threat is typically the doctor or a member of his staff. Many veterinarians will use treats or toys to create a positive bond with a pet before examining. All animals can become anxious when at the vet. Your cat may also be suffering from vet anxiety. Help them to become more comfortable. Although many animals become anxious at the veterinarian’s office, proper handling techniques help minimize or eliminate symptoms of fear and vet anxiety. Having a doctor your cat trusts makes the exam process less stressful. It is also easier to recognize illnesses before they become a serious health threat for your beloved pet.